Malaysia is a south-east Asian country in between Singapore, Thailand and Indonesia. With a population of over 30 million, it is the world’s 44th most populous country and has one of the best economic records in Asia. The economy was traditionally being fuelled by its natural resources but is now escalating to other sectors like science, tourism, commerce and medical tourism. With the GDP growing at an average of 6.5% per annum for almost 5 decades, Malaysia is truly the go-to option for entrepreneurs. Malaysia is uniquely and strategically positioned and is ranked 24th in ease of doing business by the World Bank. Being a founding member of ASEAN, it has access to around 630 million people which is a huge market by any count. The region provides multiple benefits to international investors that urge them to come forward and establish the business foundation. 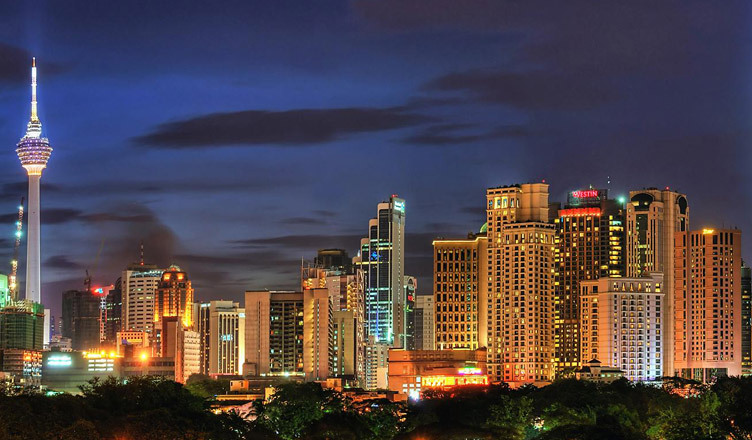 Now, let’s have a look at the benefits of setting up a business in Malaysia. These benefits make Malaysia one of the most attractive and sought-after places to set up a business in. Now, let’s see some industries which are all set to grow in the coming year. The banking & finance industry has always been at the top of the list, and now it’s even more popular as digital technology plays a huge role in the industry. As a result, there are more demands for skilled people, not only with a banking and finance background but also of those with IT knowledge. Also, the requirement for more control and regulation resulted in growing demand in compliance and audit roles in this industry. Nowadays, almost everything runs on IT. Things like mobile internet and cloud technology on the boom. Those with a digital background will find their demand increasing, whether it is for data analysis, cybersecurity, coding and more. You can even get a job in a non-IT sector as every sector is going the digital way. Media outlets have, in an effort to digitalize themselves, have changed the way they deliver news and information to the people. They are incorporating IT into their daily routine so that they stay relevant in this business environment. Those having the relevant knowledge will be high in demand and this makes working in the media a very attractive option. There is an increasing trend in the growth of the manufacturing sector in Malaysia. Last year, the sector contributed 23% to GDP while production grew by 6.1% and sales value by 13.7% respectively. And all these numbers can be translated into one thing – more jobs. The Electrical and Electronics (E&E) sector are one of the most important contributors to the manufacturing industry in Malaysia. Within the E&E sector, there is a smaller sector that specializes in the production of electrical components which comprises things like semiconductor gadgets, printed circuits, passive components, and a few other things. Export of these components comprise of a large part of Malaysia’s export. The nation is also a major hub for global firms such as Intel, AMD, ASE, Texas Instruments, and others. 2019 will play host to the growth of the food delivery industry as the number of people who have started to choose to get the food delivered home have increased. This has made food delivery a profitable business which seems to be booming. The property industry in Malaysia very competitive. Property companies are on the lookout for those with exceptional skills and talent to help them capture their envisioned audience to help drive sales. The thriving property industry is being represented by Gamuda, IJM, Mah Sing, and UEM to mention a few. These industries are showing huge potential and are set to one of the top important industries in 2019. If by seeing the above information you think that Malaysia could be your cup of tea and would like to conduct business here, then fear not, Business Setup Worldwide can help you to establish a business entity in Malaysia by providing consulting, incorporation, registration, and legal services. Our experts will take care of the entire Banking, Visa, Legal, and Licensing formalities, without letting you worry about the bureaucratic red tape and legal formalities. So, when in any kind of doubt about business registration, incorporation, legal or any other support service, do reach out to us – we’d be happy to help! What is the Role of a Company Secretary in Malaysia?